In 2014, more than 2.6 million adults over 65-years-old were victims of identity theft. Florida leads the nation in reports of fraud and identity theft and Jacksonville ranks 9th for identity theft complaints. To guard yourself against identity theft, never give out personal information, such as credit card numbers or banking details, to unknown persons via email or over the phone. For another layer of security, consider adding identity theft protection with identity theft monitoring, protection counseling and restoration. The elderly are frequently seen as easy prey by burglars. Assess common burglar entry points to your home such as your front door and windows and keep them secured. Keep your doors locked and don’t place a spare key under your doormat or other all-too-common spots. If you want extra security against burglars, consider adding a monitored home security system. Accidents and falls put the elderly at high risk for serious injury. Do what you can to prevent accidents before they happen. Keep rooms free of potential fall hazards such as clutter and loose cords. Make sure rooms in your home are well-lit. Installing a home automation system can help you avoid tripping hazards by allowing you to turn on the lights right from your smartphone or setting a schedule to turn lights on automatically. However, medical emergencies and falling may still be a concern if you or an elderly loved one live alone, even if you take these precautions. Medical emergency monitoring pendants make help available 24/7 at the push of a button. 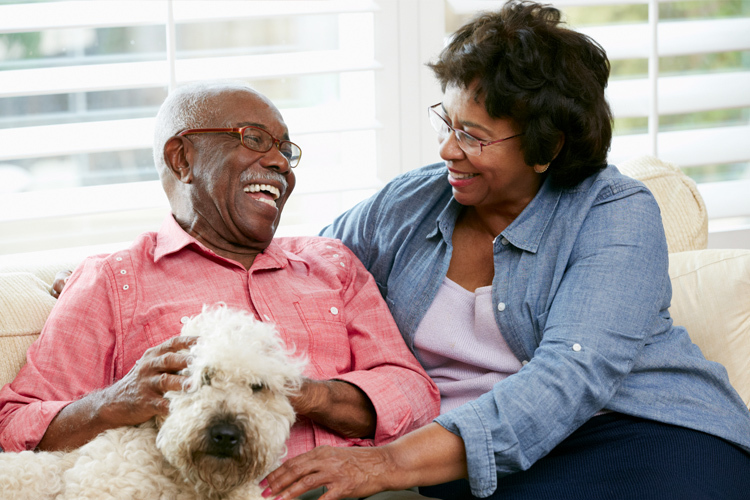 Contact Scott Alarm today to schedule a consultation to create a specialized security plan for yourself or an elderly loved one.